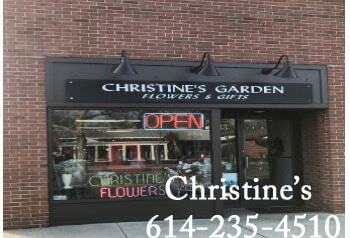 Christine's Garden's and the University Flower Shop have been serving Columbus and the Central Ohio area since 1932. Columbus is the State Capital of Ohio and our Downtown store is located on the northeast corner of the Capitol Square in the heart of downtown Columbus. With a population close to 2,000,000 people, Columbus and Central Ohio are the fastest growing areas of the State. Some of the larger companies based here include: Nationwide Insurance, The limited Brands, Wendy's International, Abbott Labs, The Battelle Memorial Institute and Net Jets, just to name a few. We are also home to the Ohio State University! 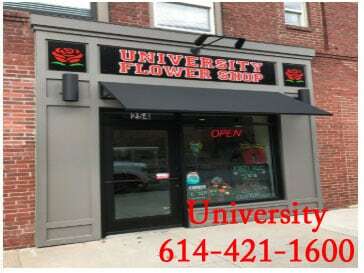 Our University store is located in the heart of the OSU Campus and directly across the street from the Ohio State University Hospital and Wexner Medical Center. After 80 years in the flower business, we feel very fortunate to call Columbus home. There truly is no better place to raise a family and have a business.